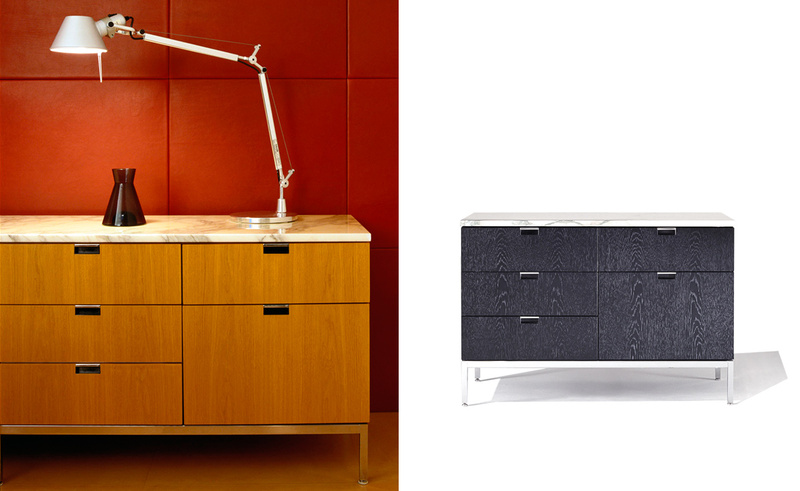 Like so many of her groundbreaking designs that became the gold standard for the industry, the 1961 executive collection, including the series of credenzas, made there way into the pantheon of modern classics. Florence Knoll's designs are reserved and cool, severe and angular, reflecting the objective perfectionism of the early 1960s. These elegant credenzas are offered in your choice of wood veneer on the sides & back panel, and a choice of either wood or marble tops. 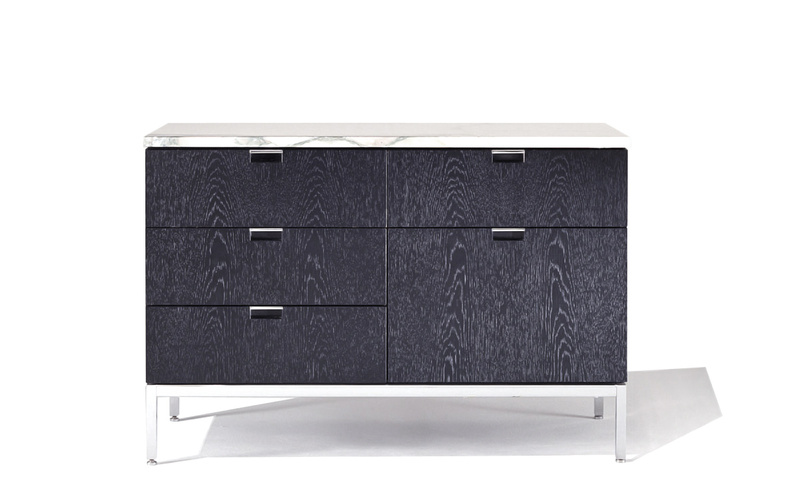 All the credenzas have polished aluminum pulls and a 3/4" thick top. 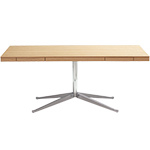 Wood tops are finished with a transparent polyurethane coating. 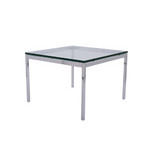 The base is available in either a polished or satin chrome finish. 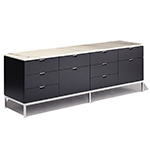 This credenza features four box drawers (each with one removable partition), and one full extension file drawer with two metal bars for file hanging. 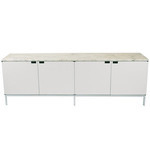 The Florence Knoll credenzas are also available with other finish options and in various configurations. Please call for details. 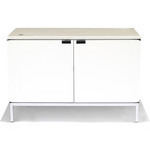 Optional central locking secures drawers and doors instantly with one single key lock. 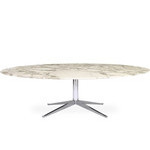 $7,368.00 + plus shipping in the continental U.S.